Overall Dimensions: 105" x 64" x 69"
Backed by huge industry experience and market understanding, we are involved in manufacturing a wide variety of CNC Turning Machine for our valued patrons. 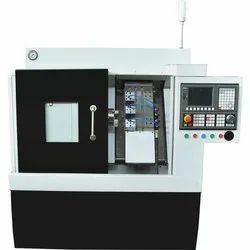 We are the well known company manufacturing a wide range of Mini CNC Turning Machine. Sam Automation Technologies Pvt. Ltd.
Owing to our enriched industrial experiences, we are committed to providing a wide variety of excellent quality CNC Turning Machine. We are dealing with CNC Turning machine ART-450. 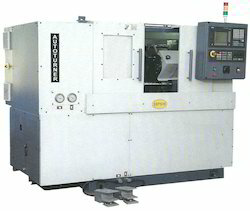 Smt turning machine, with fanuc 0i mate TD latest control. Pragati turret 8 station, New LM guide slipdes. With tailstoke(centre). With an objective to fulfill the ever evolving demands of our clients, we are engaged in offering a wide assortment of CNC Turning Machine.